The use of technology is becoming more and more prevalent in our classrooms. However, the struggle is always finding out what is out there and how do we implement it effectively? This blog is to share my experience as I continue to grow as an educator and use technology in the classroom. What am I doing with GAFE? 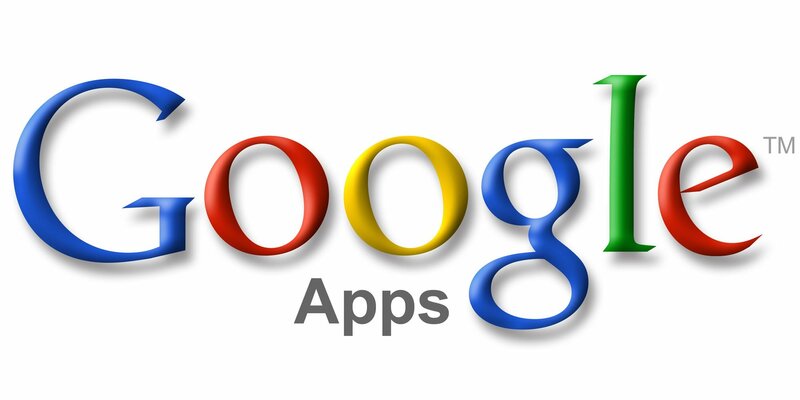 If you are now teaching with Google Apps for Education you need to get yourself familiar with the products and how you might be able to use them to enhance your teaching and student learning. DON'T BE FOOLED! These apps may have a similar look, feel, and uses as the Microsoft Office products most educators have come to know and use, but GAFE goes way beyond in terms of functionality and versatility in the classroom. Let me make this clear, everything, EVERYTHING I do in my classroom funnels through Google Classroom. I make all my assignments in Google Classroom. Yes, even the ones that still require paper and pencil, because students can click "Mark As Done" and I can see in real time who is or isn't finished. The most important reason why or how I use Google Classroom is how easy it is to share digital resources or other GAFE files to students (think digital copier) and manage their work. When you create a class in Classroom you automatically get a folder in your Drive. In that folder is a folder the same name as the class. If you make an assignment - a folder is made with the name of that assignment and all student work linked to that assignment AUTOMATICALLY goes in that folder. Oh yeah, the same occurs for the students too. The results so far have been fantastic! If you are unsure about how to get started in Google Classroom, I highly recommend you check out the multiple blog posts by Alice Keeler and invest in her book 50 Things You Can Do With Google Classroom. It is well worth it. Sure, Docs is a great word processor, but don't think that is all they are good for. I do have my students write and type narratives and expository pieces, but Docs takes the writing process to a whole other level with that little blue share button in the top right corner. With that, students are able to share with one another their writing pieces and peer edit them using the commenting feature. After a little practice, my students have become pros at this and seem to thoroughly enjoy this part of the writing process. Not to mention it is having a positive impact on the quality of their writing. Also, if the Doc was created in Google Classroom, you have access to view and comment on students work at anytime. What's better than giving students real time feedback? Ok, so my favorite way of how I'm using Google Docs is to create HyperDocs. I first discovered HyperDocs this past summer during a #DitchBook Twitter Chat. Curious as to what this was, I began to do some research and what I discovered almost made my head explode!!! I knew this was going to change the way I teach. HypderDocs was created by Lisa Highfill, Sarah Landis, and Kelly Hilton. I really don't think I can do HyperDocs justice in explaining them, but for me the reason I love them is because it helps teachers be a facilitator or guide in the learning process and the students become creators. Just take my word for it watch this video, check out the website here, or search #hyperdoc on twitter. You won't be disappointed! Also, here is one that made and used in class to teach the design process to my 4th graders. Feel Free to Make a Copy if you'd like! (Template came from @KarlyMoura). The least effective way to use Slides is to treat it as an equal to PowerPoint and only create slides of bulleted lists of information. BORING! (Sorry, but that is what your students think as well.) Luckily now that you have Google Slides can do so much more. Here is one of many ways I'm using Slides in my classroom. I like using Google Slides as a means for student collaboration and reflection. You might have seen this was one of the steps in my design process HyperDoc. As students are working on a HyperDoc or maybe after they have watched a video lesson, I give students an opportunity to share and reflect what they have just learned and share that with their fellow classmates. I simply create a new Slides presentation, put the directions on the first one or two slides, then share it with the class via Google Classroom or HyperDoc. A bonus to doing this is that it becomes a quick formative assessment for me so I know which students are understanding and good to go and those that could use a little extra help. Here is an example of one my students did after watching a video lesson on multiples. What to know more about what you and your students can do with Google Slides? Matt Miller from Ditch That TextBook wrote a fantastic blog post that I refer to often. Here is 10 Google Slides Activities to Add Awesome to Classes. There are a lot of possibilities for the use of Drawings in a classroom. If you are unfamiliar with Drawings, I equate it to a blank digital poster or drawing paper, hence the name. I have used Drawings in a variety of ways and students especially like it because it allows them to be creative. download images created and insert into a Doc or a Slides presentation. This doesn't seem like much, but I am still learning and many times after giving a lesson or using some tech I'll realize I could have used Drawings to make the task easier. If Google Drawings is new to your students, here is an activity that I created to help introduce Drawings to my 4th graders at the beginning of the year. It was a great success! This app is a teacher's best friend. With Google Forms a teacher can create endless types of assessments for any subject area. Outside of some for math, almost all of my assessments are done using Forms. Whether it be exit tickets or formal quizzes and tests, Google Forms can do it all! A plus to using Google Forms is that it is helping my students prepare for the technology enhanced questions that they will see on standardized testing in the spring. The different type of questions you can choose for students to answer include multiple choice, check boxes, short or paragraph text and gridded response. Even choose your own adventure stories! Possibilities are endless and it is really easy to begin. Go for it and give it a try! If you need help getting started, Kasey Bell from shakeuplearning.com has a great Google Forms Cheat Sheet for teachers. I will have to admit something right off the bat...I really haven't used Sheets that much yet outside of it being the place where your responses from a Google Form goes. With that, the add-on Google Sheet Flubaroo is a must! It is the reason why Google Forms will be your best friend. For example, after giving my spelling test via Forms, I go to the corresponding Sheet that is automatically created. Enable the Flubaroo add-on. Then after a few clicks of my mouse, all student responses are graded and their scores are emailed back to them. I have seen other ways to Google Sheets too but haven't used any to know how it has worked out. Again, still learning. Maybe you have a way you use Google Sheets and can share with me. Well, that is all I have for now. I hope that if you are new to GAFE (or even if you are not) this will help you embrace the change and see the many possibilities both teachers and students have when using these apps in the classroom. I'd really like to hear what ways you use GAFE in your classroom. Leave a comment below or connect with me on Twitter @SEANJFAHEY.